Hakkasan is a world-renowned Asian-fusion restaurant that is based in London and owned by the largest nightlife company in the world. Hakkasan Las Vegas is their combination restaurant and nightclub located on the strip, inside the MGM Grand Las Vegas Resort. Offering 80,000 square feet of space, this is much more than a nightclub. It’s a one-of-a-kind Las Vegas event venue that can be set up in a variety of ways to accommodate groups of 75 to up to 3,900 guests. It has five different levels, each with their own individual event spaces that can be used separately or in coordination, for larger groups. 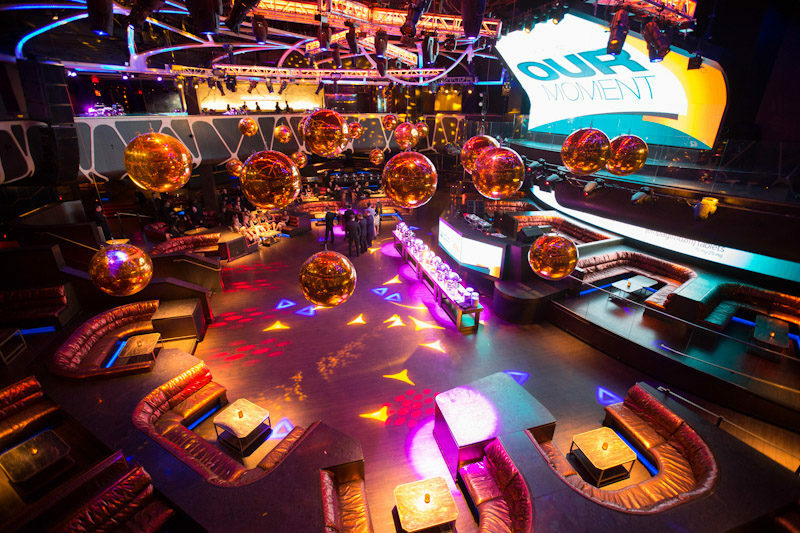 On The Scene has experience hosting a variety of corporate events at event venues all along the Vegas Strip, including Hakkasan. It’s one of our favorite Las Vegas event venues because it is so versatile. Whether you’re planning a corporate reception, cocktail hour, corporate dinner, or after party, our team of experienced event managers can help you choose the right space for your specific event. When you partner with us on your event, we become an extension of your team. We work with you every step of the way to learn your event goals and brand to produce an experience attendees will never forget. Private Dining Room: Up the stairs from the main restaurant, this private dining room is located on the second level. With lavish and elegant decor, this space is perfect for a formal corporate dinner. Ling Ling Lounge: On the third level of the restaurant, this private space is an intimate and peaceful setting that is perfect for smaller events or areas for guests to mingle and network. 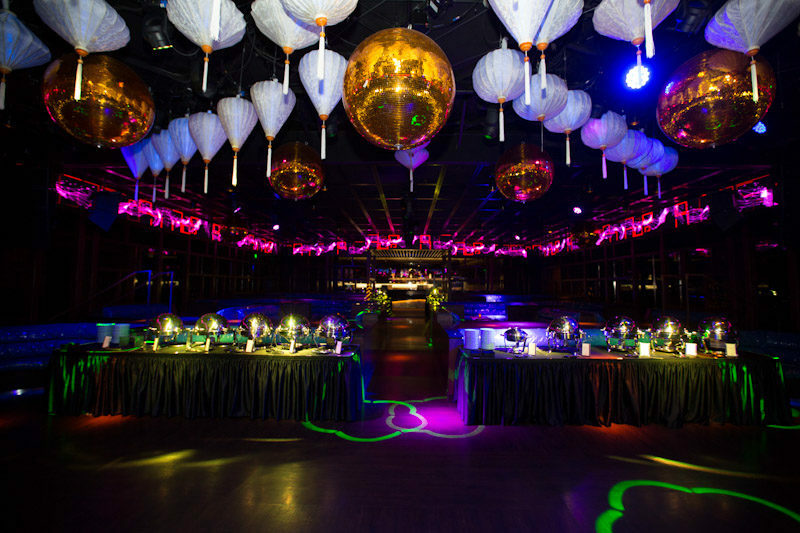 Ling Ling Club: Above the restaurant, this 10,000 square feet space isa club within the main club. It features two bars, a dance floor, and private seating. Main Room: This is the main nightclub, featuring a dance floor, tables and booths, a customDJ booth, and LED screens that run from the ceiling to the floor. Pavilion: Adjacent to the main nightclub, the pavilion is the perfect space if you want your event to have an outdoor component. Complete with an oriental garden, waterfall, and an enclosed structure that allows you to enjoy the space year round, the Pavilion offers a unique event experience. Mezzanine: Located on the fifth level, the mezzanine overlooks the nightclub’s main room. It offers a more private atmosphere and features large VIP booths, along with two separate rooms that have customizable screens that are perfect for branding. Hakkasan Restaurant: The main dining area of the restaurant is known as “the cage,” and is located on the main level of the club. The areas surrounding the cage provide for more private dining areas, allowing you to divide the space up as you wish for your event. On The Scene is an award-winning Las Vegas event management company. We have years of experience coordinating and producing corporate events for clients in a wide variety of industries. As your behind the scenes partner, we handle everything from transportation to team dining to entertainment. If you’re interested in hosting your upcoming meeting, welcome reception, or corporate dinner at Hakkasan Las Vegas, contact On The Scene today!